After more than 25 years of federal service, Peter Landres will retire at the end of December. As an ecologist with the Aldo Leopold Wilderness Research Institute, Peter has contributed to improving wilderness stewardship and science nationwide. Of particular note is Peter’s sustained scientific leadership in developing and applying the concept of “wilderness character.” Peter’s work on this project has improved the management, accountability, transparency, and defensibility of wilderness stewardship. This is reflective of Peter’s entire career, where he has created innovative ways to improve wilderness stewardship, spanning from unit-level to national initiatives. Peter’s pragmatism and sense of humor have allowed him to uniquely fill this roll and have made him a joy to work with. Throughout his federal career, Peter has worked closely with wilderness managers at all levels of the agencies. Developing tools for wilderness managers has been a focus of Peter’s career. For instance, Peter led an interagency team that produced a framework for evaluating proposals for scientific activities inside wilderness. More recently, he co-led an interagency effort to develop a decision support tool for ecological intervention activities in wilderness. 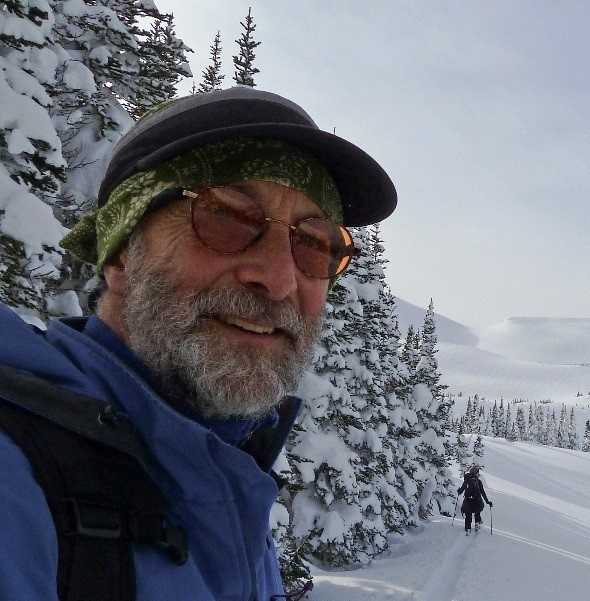 On the national level, he has been a long-time member of the USFS Wilderness Advisory Group and the USFS Wilderness Information Management Steering Team. In addition, he has provided ongoing technical assistance to the Interagency Wilderness Policy Council and Wilderness Steering Committee, and the National Park Service Wilderness Leadership Council. Peter has a long record of working with graduate students and early career professionals. Peter helped to establish the Wilderness Fellows program, which recruited recent college graduates to live on-site and work with local staff to conduct wilderness character baseline assessments on individual wildernesses. His daughter Nyssa Landres continues the family legacy by contributing to on-the-ground wilderness stewardship efforts for the National Park Service in Wrangell-Saint Elias. Before joining the Forest Service in 1992, Peter worked in academia. From 1985-1998, he worked as a postdoctoral fellow on a National Science Foundation funded project to study methods for restoring areas that had been strip mined in southwestern Wyoming. From 1985-1992, Peter taught ecology, biology, evolution, and environmental topics at the University of Puget Sound and at the University of Colorado at Boulder. Peter has received many awards, including the USDA Forest Service National Excellence in Wilderness Stewardship Research Award in 2006; the USDA Forest Service Rocky Mountain Research Station Best Technology Transfer Publication Award in 2007; Interagency National Wilderness Preservation System Award in 2008; the NPS Director’s Wes Henry National Excellence in Wilderness Stewardship Award in 2013; and, the USDA Forest Service National Excellence in Wilderness Stewardship Award in 2015. In his free time, Peter and his family are avid explorers of wilderness, particularly snowy, mountainous wildernesses!